Good morning and welcome to another challenge here at Allsorts, but first I would like to say thank you to everyone that took part in Helene's Gift Box challenge last week - there were some truly awesome Gift Boxes for us to feast our eyes upon - don't forget to check and see who the lucky winner was and who made Helene's TOP5. However it really doesn't have to be just for Mother's Day - it could be anything for any Special Lady - young or old, Mother, Daughter, Sister - it would be great to know why they are special though! and they are offering another lucky winner $10 to spend in their online store. I hope that you can join us this week and I really look forward to seeing all your beautiful work. what a creative lot you are! Lovely gift boxes to look at and be impressed by! Magnificent work ladies! Take the badge from the sidebar and display it with pride, you've earned it! Please send a mail to mummylade@gmail.com and I will pass your details on to our sponsor, congratulations! As a sponsor we have Stitchy Bear Stamp who has kindly offered a £10 voucher to one lucky winner. Get some inspiration from the Design team below and start folding =). 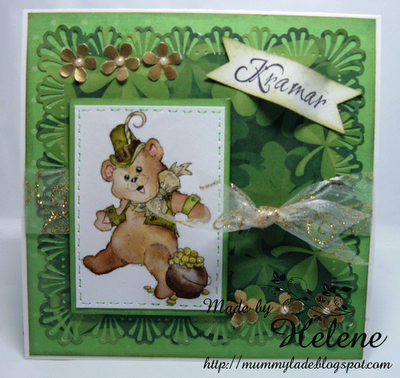 Hello and welcome to another Saturday :o) I had a tough week this week picking my top 5, so many gorgeous St patrick's day/Irish themed cards. Girls please help yourself to the Top 5 badge and display it on your blogs. Good morning all and welcome to week 94 at Allsorts. I don't know about you but I can't believe we have been going for 94 challenges!!!! 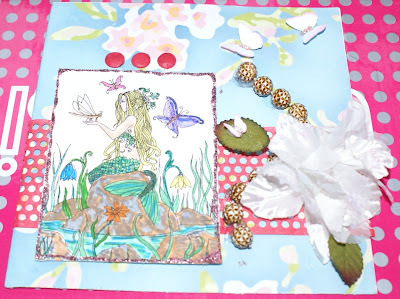 Thanks to everyone who entered into Kirsten's Teenage challenge there really were lots of fabulous cards and projects. I am glad that I don't have to pick the top 5 thats for sure. We have now recently added digi stamps to our store too!We love the different ranges of stamps and crafts that we get from all over the world and we hope you will love them too.... Our aim is to give you the best possible customer service that we can, and to treat our customers just as we would want to be treated ourselves. We are a small family Craft business that came about when as a card making family, my daughters and young granddaughters and I Could never find the stamps and crafts that we had seen advertised! So, in the end we decided to start up Crafts and Me, so that we could get the products we wanted not only for us, but to offer to other crafters like you. the faaaaaaabulous Sally-Ann﻿ at Digistamp Boutique definitely worth a peep this month there are some fab new images for March!!! Sally- Ann is offerring 6 images of the winners choice and there are so many to choose from!!! So lets see your teenage creations this week and dont forget to see the previous post for Emmas winners and top 5 of last weeks Handmade flowers challenge! !